There is a little over two weeks until Christmas! I don’t know about you, but this year has flown by at a rapid pace. It’s amazing that 2016 will come to a close soon. What a year it has been! I am grateful for this Advent season as we prepare to celebrate the birth of Christ! I am definitely in need of His hope daily. Lately, I have been reflecting on how Jesus entered the world. I think that I had gotten so used to looking at the image of the nativity scene, that the impact of what God was doing was not hitting me. Jesus was conceived out of wedlock and born to a virgin teenage mother. He was born next to farm animals and his first crib was a feeding trough. The thought of this does not seem as glamorous as the nativity scene images and sets that I see all around this time of year. Having a child of my own, the idea of him being born near animals and sleeping in a manger saddens me. Why would God allow His son, the savior of our world, to be born in such a manner? 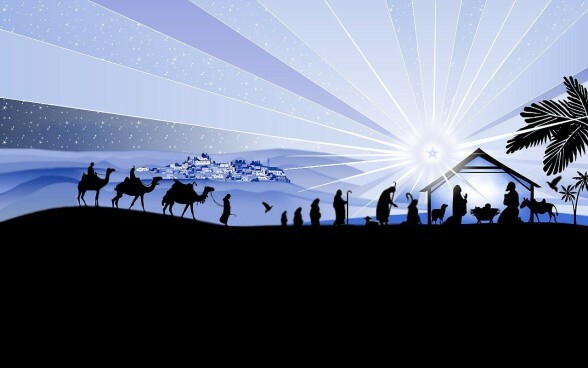 Jesus’ humble birth conveys a powerful message to us. Instead of being born in a palace, protected by large gates and guards, he was born in meekness as one of us. He is approachable and available. God comes to us! How beautiful is it that the first people to see Jesus are not rulers or distinguished folks, but shepherds! As we continue through this season of Advent, let us be reminded of the hope that is in Christ. We can approach God, because he approached us first! He tears down walls to make himself available to us!